Califermentation: The second annual wine fair showcasing California’s best in natural winemaking. Unlike any other tasting before, Califermentation is featuring wines from California’s best producers dedicated to working without chemicals, with native yeast and using minimal sulfur. Not only are these methods better for the environment but also create more vibrant, expressive and terroir driven wines. More than 40 winemakers from across the state are joining us at Terroir, California’s original natural wine bar, for this exciting, second-annual fête. Hope to see you there! $45 each day or $80 for both days with 10% of proceeds benefitting Bay Area Hunger. As the days get shorter and the nights get cooler, I find myself looking forward to the holidays much more than I did when I was young. I love cooking for friends and family, throwing dinner parties, and sharing my most prized wines. I’m no longer looking for light and easy reds to enjoy with a slight chill; instead I crave wines with density, texture, and earthy minerality. I reach for more serious wines to slowly enjoy out of a big, tulip-shaped glass as I transition from the dinner table to a seat in front of the fireplace. 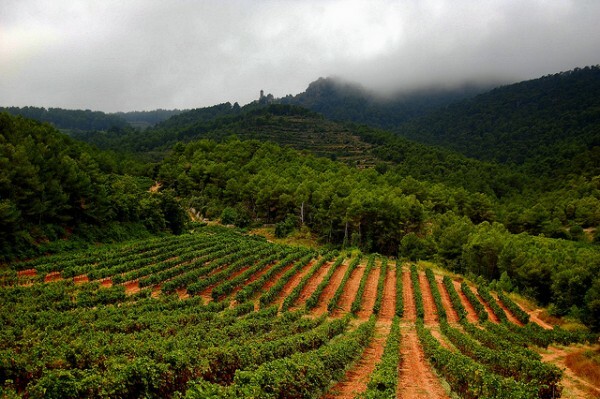 For our Fall wine club, we’re continuing our focus on terroir and featuring French wines grown in limestone soil. Limestone is a sedimentary alkaline soil type composed of ancient seabed that is highly beneficial to grape growing. It neutralizes the acidity in the soil, has excellent water retention properties, keeps the roots of the grapevines cool, and slows the ripening of grapes which helps them retain their natural acidity. 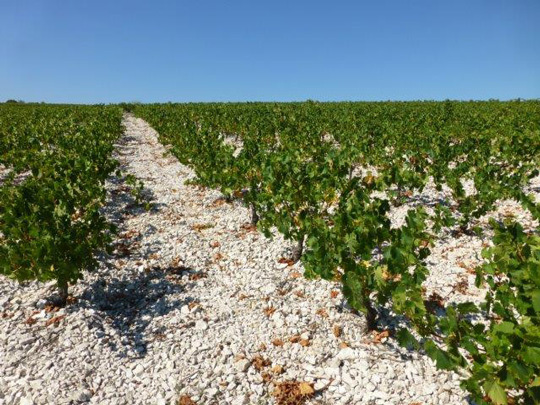 Wines grown in limestone have phenomenal texture, structure, freshness and profound minerality; they are often heralded as the greatest wines in the world. Much of continental France is composed of limestone, as it was under an ocean millions of years ago. 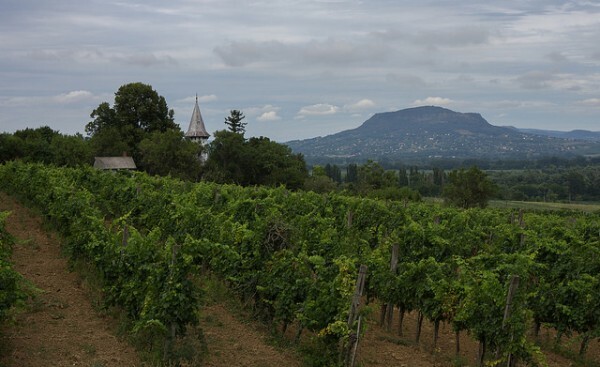 Chablis, Côte d’Or, Sancerre, Saumur, Alsace, and many other important French winemaking regions have legendary vineyards planted on this porous soil. Three reds, two whites, and one sparkling rosé. A cornucopia of delicious, natural French wines. Full-bodied and savory with balanced freshness. Rich, ripe notes of red/black fruits are accentuated by aromas of juniper, rosemary, and irony minerals. Refined, silky tannins are uplifted by juicy acidity. Brooding, subtle, and complex with notes of ripe cherry and profound minerality. Balanced and bright acidity is framed by present yet supple tannins. Old school Cabernet Franc at it’s best. Light garnet in color with complex notes of herbs, smoky minerals, dark cherries, and earth. On the palate, the tannins are softened by age but maintain their youthful velvety texture, with fresh acidity that make it a perfect compliment to a variety of fall foods. At 14 years old, it’s just beginning to show how well Chinon can age. Vibrant and joyful with a bouquet of crunchy red fruits and minerals. On the palate, it’s juicy and pleasantly fizzy with flavors of cranberry and cherries with a crisp and dry finish. Bright and mineral-driven with a lovely ripe stone fruit profile balanced by fresh acidity and delicate creaminess. Delicate and fresh with notes of white flowers, citrus zest, and minerals. On the palate, it’s balanced by bright acidity, chalky texture, and a dry mineral finish with just a hint of succulent fruit. Six impressive, food-friendly red wines perfect for dinner parties, holidays, or any other day of the week. Old school Cabernet Franc at it’s best. Light garnet in color with complex notes of herbs, smoky minerals, dark cherries, and earth. On the palate, the tannins are softened by age but maintain their youthful velvety texture, with fresh acidity that make it a perfect compliment to a variety of fall foods. Unbelievably fresh and lively for a 14-year-old wine, drinking beautifully now and can age for several more years. Fresh black and red fruits are highlighted by notes of violets and a sultry peppery streak. 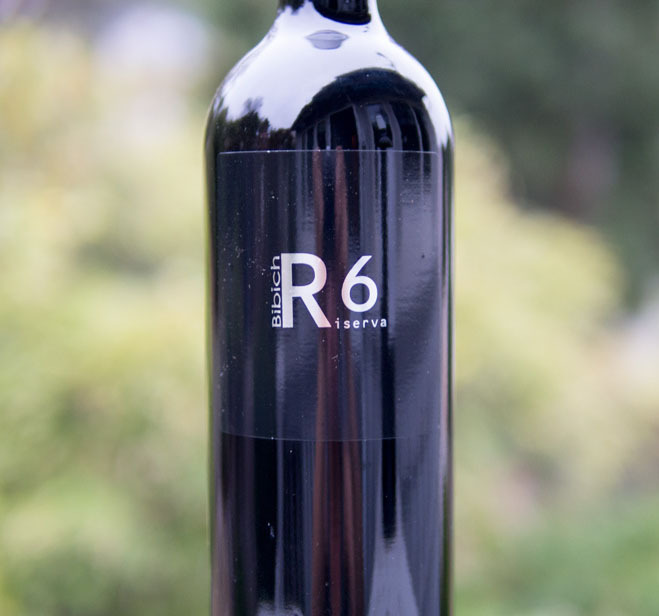 Full-bodied and luscious with plenty of juicy acidity and tannins. Drink now while it’s young and fresh or lay it down for a couple of years. Juicy and fresh with aromas of ripe blue fruits, earth, minerals, and spice. Polished and supple structure with an intriguing earthy finish. Spicy, herbal, fruity, and fresh! Notes of black pepper, tomato vine, and crunchy red fruits are framed by supple tannins and juicy acidity. An excellent food wine. Four white, one sparkling rosé, and one sparkling white. Graceful, elegant, and joyful – like you. Fresh and pure with notes of lemon zest, green fruit, and minerals. On the palate, it’s electric and lively, with a long and crisp mineral finish. Delicate and complex with a bouquet of orange blossom, yellow citrus, honey, and minerals. On the palate, it shows elegance and grace with delicate acidity and silky texture. Rich and complex with intoxicating aromas of white truffles, toasted brioche, alpine flowers, and minerals. On the palate, the bubbles are fine and ethereal; the flavors are savory and profound. The finish is long, crisp, and dry, with persistent minerality. Can’t wait to join the club? Don’t miss out on these incredible wines. Sign up here. 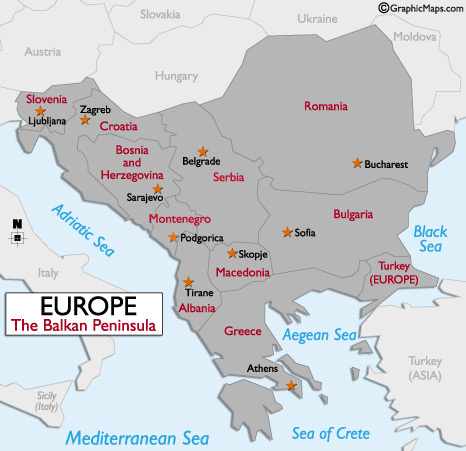 Long before the French and Italians graced the world with elegant, polished wines made from modern grape varieties, people were making wine on the Balkan Peninsula from ancient, indigenous grape varieties in a climate well-suited to viticulture. Americans are finally starting to take notice of these wines and now’s your chance to see what all the fuss is about. 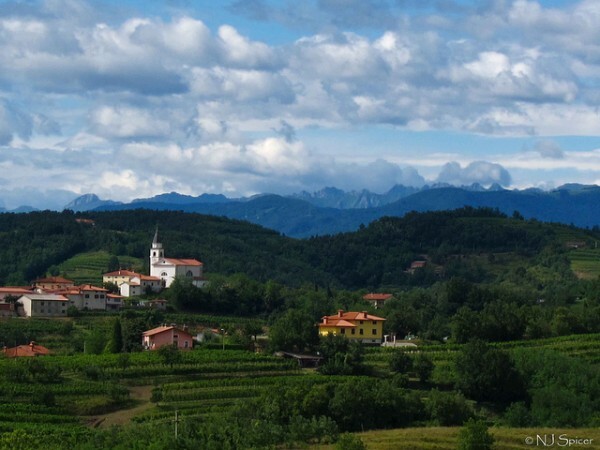 This month’s wine box features four terroir-driven, soulful Balkan wines from Istria (Croatia), Northern Dalmatia (Croatia), Slovenia, and Bosnia-Herzegovina. Price for all four wines is $79. Click here to buy now. Please check our delivery terms for delivery details. Farming: Organic and practicing Biodynamic. Production: Fermented with indigenous yeast, aged on the lees, and bottled unfiltered. Notes: Žilavka is a white indigenous white grape well-suited to the climate and limestone soil in the Mediterranean, where it’s been grown for more than 1000 years. Notes of ripe pear, fresh tarragon, and sea breeze make this wine pair with a variety of Mediterranean-inspired foods. Farming: Practicing organic. Soil is composed of “Terra Rossa”, mineral-rich clay over solid limestone subsoil. Production: Inoculated with yeasts cultured directly from the vineyard and fermented at controlled temperatures in stainless steel. Notes: Representing almost 75% of his entire production, Coronica is the area’s benchmark for wines produced from Malvazija Istarska. A bouquet of lemon blossom, lemon pith, and minerals lead to flavors of grapefruit, delicate spice, and oceanic salinity on the palate. Pair with grilled, brined, or pickled seafood, or enjoy with hearty cheeses. Farming: Dry farmed utilizing organic fertilizers. Production: Fermented with native yeasts for 2 weeks on the skins in 2400 liter oak vats. Aged 12 months on the lees in old French oak barrique. Bottled unfiltered. Notes: Not your Aunt Mary’s Pinot Grigio! Strawberry in color and creamy in texture with notes of dried apricots, brioche, and custard. The mineral-driven finish is long and dry with exquisite texture, density, and length. A wonderful pairing for roasted poultry and other fall fare. Farming: Dry farmed, head-trained vines. Minimal sprays are used in the vineyard due to the site’s optimal grape-growing conditions. Production: Hand harvested and co-fermented with wild yeasts, then aged 12 months in American oak. 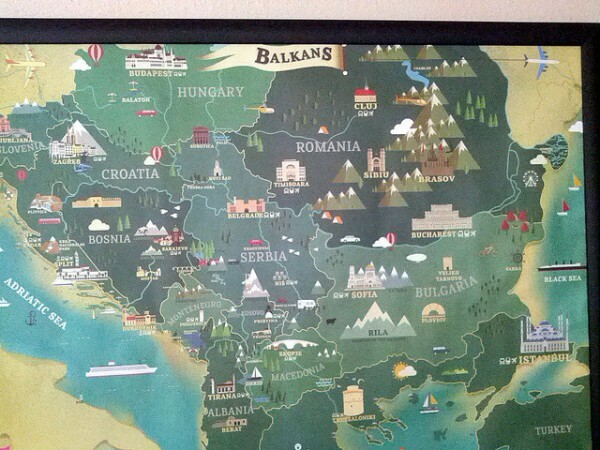 Notes: Not many people know that Zinfandel’s origins lie in Croatia. The indigenous grapes that make up Bibich’s R6 blend nod to Zinfandel, but maintain a smoky herbaceousness, freshness, and minerality that Zinfandel as we know it lacks. Pair with smoked meats, grilled sausages, and even goat cheese. These days you can get pretty much anything delivered in a box. Wine (from Winelandia.com of course), meals, dog toys, nail polish, clothes, liquor, makeup, and groceries are all on the list. This is a testament to the “on-demand” culture that’s quickly gaining traction in our busy, plugged-in lives. Delivery of artisan goods is 2 parts luxury, 2 parts discovery, and 1 part convenience. You could walk or drive to the store, but it’s so much more fun to have these goods thoughtfully selected by an expert and then brought to your house in a pretty box. Many of these subscription boxes bring us curated items that we would otherwise have a hard time finding on our own. Winelandia’s entire business is based on this model, and we wouldn’t be here if it weren’t for all of you lovely wine lovers who wish to explore the world of natural wine with minimal effort on your part. The only thing missing from your Winelandia box is some food to go along with it. 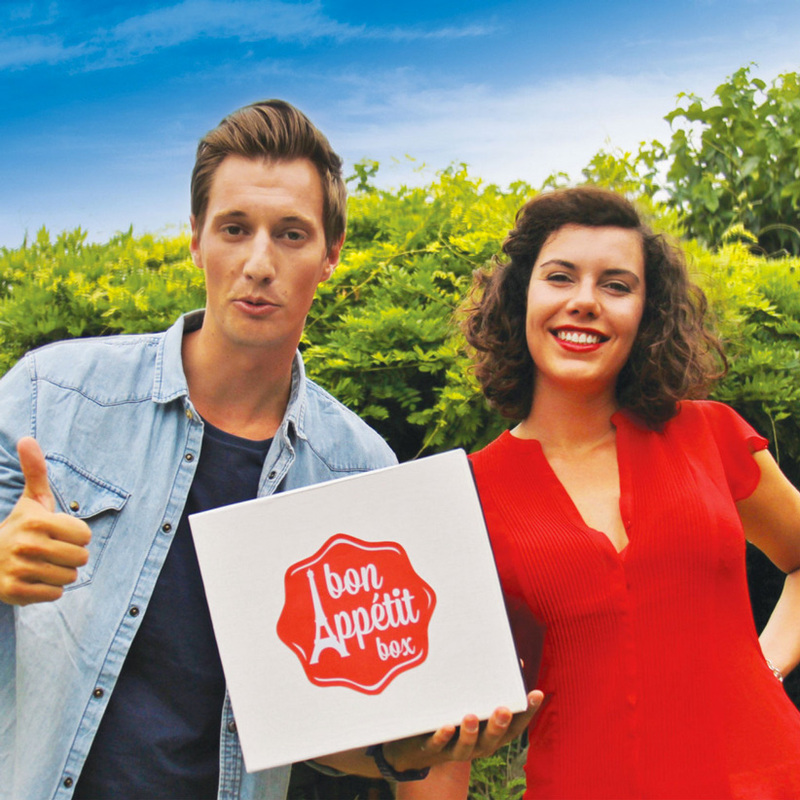 Enter Bon Appetit Box, an SF-based company founded by a young couple from the South of France, Bertrand and Zoé. They are epicureans who import speciality foods from their motherland and put them together into their thoughtfully themed Bon Appetit Boxes. 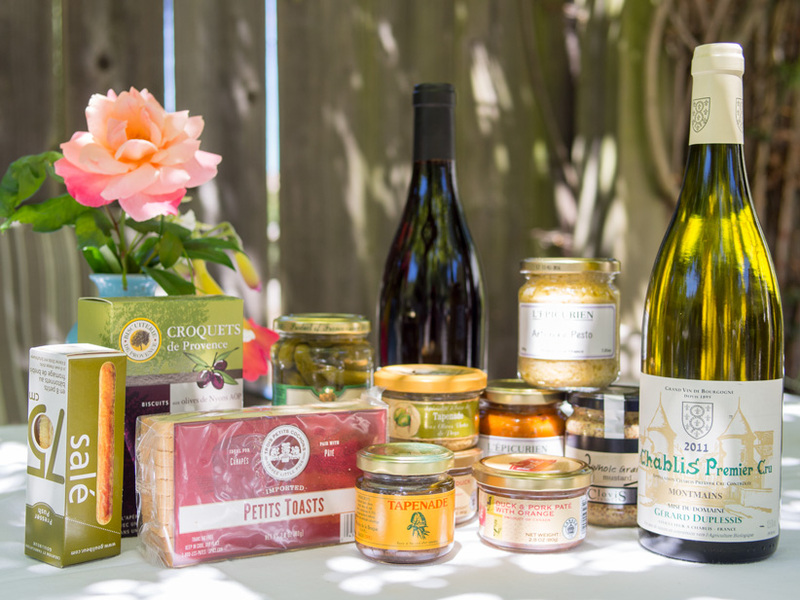 There’s a Bon Appetit Box for every mood; whether you’re looking for something to enjoy before dinner, with wine, after dinner, with coffee, or for breakfast, they have a box that will bring the rich and flavorful traditions of French culture to your table or picnic blanket. I had the pleasure of sitting down with Bertrand and Zoé to discuss the French tradition of the apéritif, a word derived from the Latin verb aperire, which means “to open”. An apéritif is meant to open your palate and stimulate your appetite before a meal. We discussed how food is usually enjoyed with wine in France and how it seems odd to them that anyone would enjoy wine without food. It was a no-brainer that Winelandia and Bon Appetit Box would be BFFs, as together they are greater than the sum of their parts. Bertrand and Zoé were kind enough to give me some samples of their lovely imported products, and in return I gave them some wines that I thought would pair well with their foods. 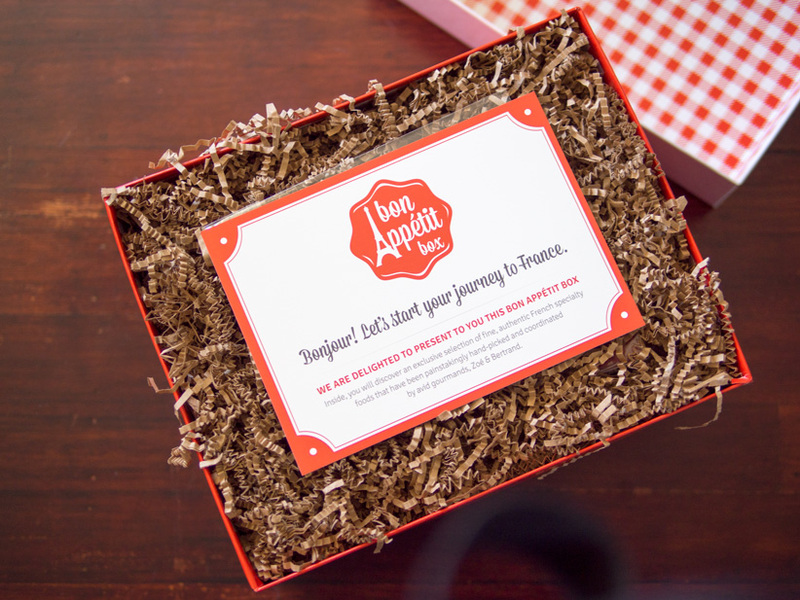 I was very excited to dig into my Bon Appetit Provence Apéritif Box, which features vegetable spreads (olive tapenade, artichoke, eggplant & red pepper), crackers, and toasts. 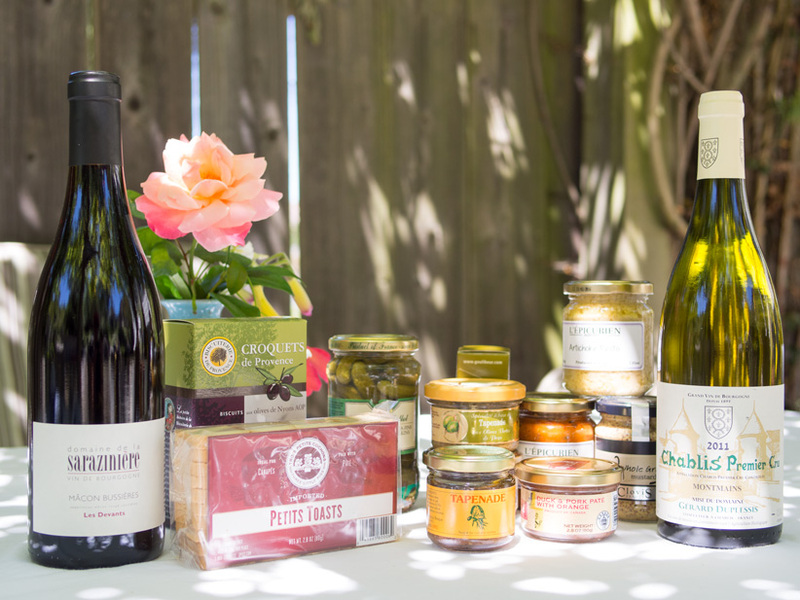 They threw in some items from their Paris Apéritif Box as a bonus, such as the cornichons, whole grain mustard, Duck & Pork Pate with Orange and Duck Rillette. My husband and I are finding every excuse we can to enjoy the goodies from our Bon Appetit Box. A few weekends ago, we took some to a redwood forest to enjoy beneath the trees on a hot day. The quality of the food is top-notch, and I felt as if I was being whisked away to a springtime picnic in France. 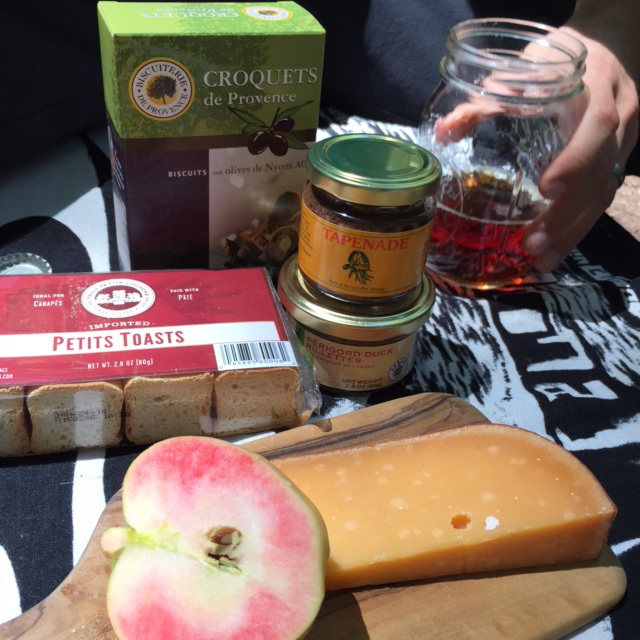 The fun part is pairing these flavorful and piquant snacks with the appropriate wine (or beer!). For the Provence Apéritif Box, I settled on an organically farmed Chablis from the Premier Cru vineyards of Montmains. The fresh acidity and ample minerality of such a wine is a perfect pairing for rich and flavorful vegetable spreads. For the Paris Apéritif Box, I chose a light-bodied Burgundian gamay from Macon-Bussieres which was a lovely compliment to the richer, meatier spreads. Bon Appetit Box is offering a $10 off coupon to Winelandia customers. Sign up for our mailing list below or simply email info@winelandia.com to receive this special offer. Wine club members will have received a coupon with their Summer Wine Club delivery. Big thanks to Bertrand and Zoé for sharing their wonderful products with the Winelandia family. A few weeks ago, I finally made my way up to the Sierra Foothills to check out the local wine scene and get some rest & relaxation. I was fortunate enough to make it up there before all of those crazy wildfires and spent some quality time sitting in the American River and putzing around Placerville. The highlight of my trip was a visit with one of my favorite California winemakers, Hank Beckmeyer of La Clarine Farm. He has quietly been making phenomenal, soulful, natural, terroir-driven wines in the Sierra Foothills since 2001. La Clarine Farm was a gateway for my foray into the world of natural wine, and all these years later those wines still delight me with every sip. Every vintage is a little different, and the wines age incredibly well. 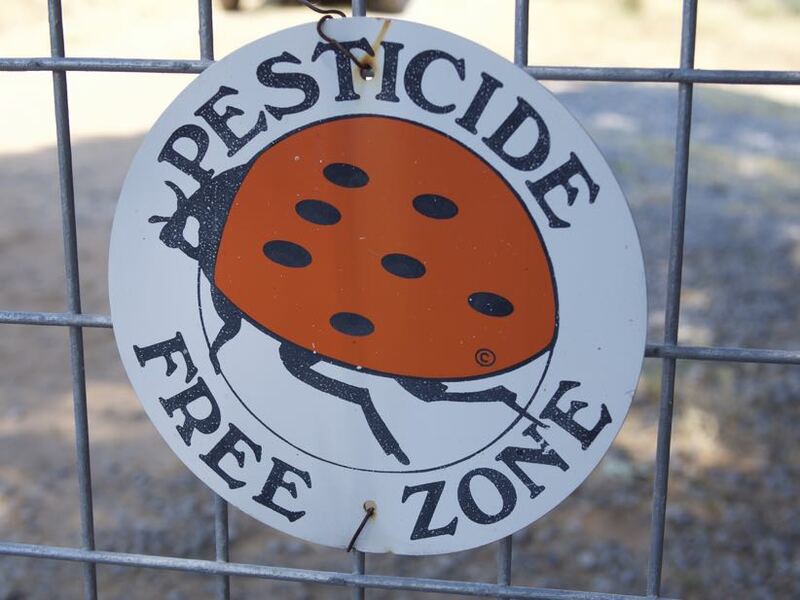 Hank’s farm is a testament to how organic farming can work even in extreme climates like the Sierra Foothills. He uses no chemical pesticides at his farm, recently began dry-farming all of his vines, and from this vineyard he creates his “Home Vineyard” wines every year. He grows mostly tempranillo, with a few other varieties scattered throughout. 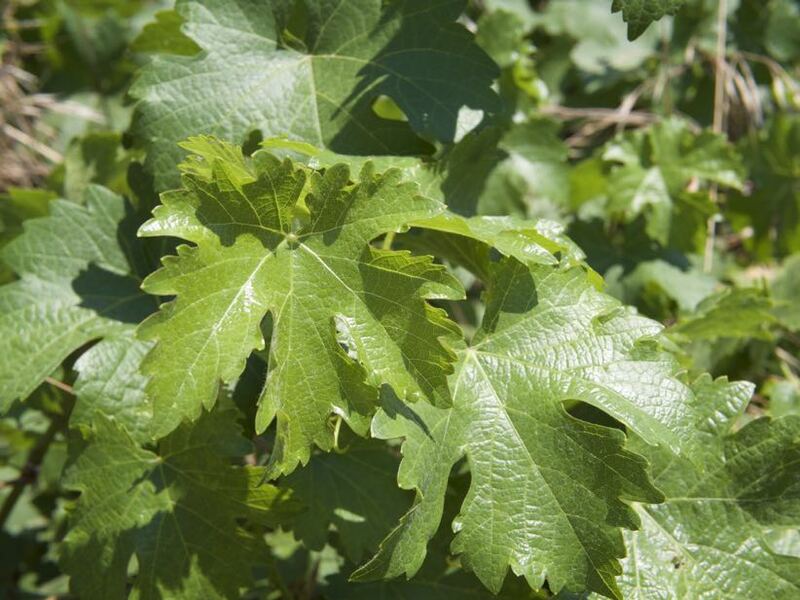 There was even a “volunteer” grapevine that sprouted forth from his compost pile, and after having it ID’d at UC Davis, they found it to be a grape that has never been identified before (though it appears to be closely related to Sauvignon). Hank was kind enough to guide us through a tasting of all of the wines he currently had aging, which included a barrel fermented rosé, his 2014 “Piedi Grandi” (a nebbiolo-based blend), his 2014 Petit Manseng (an obscure high-acid, high-sugar white grape), as well as several of his wines already in bottle. The hallmark of Hank’s red wines is a high-toned tropical fruit profile framed by herbs and minerals while his whites tend to be full and luscious with loads of acid and texture. One of the most striking qualities of La Clarine Farm and Hank’s approach to winemaking is how laid-back it feels. It’s not as much about natural wine dogma as it is about practicality. His winery is small yet efficient, with barrels and flex tanks packed tightly in an orderly way. He doesn’t indulge in expensive and unnecessary winery equipment; instead he makes wines that are delicious, accessible, affordable and pair well with food. 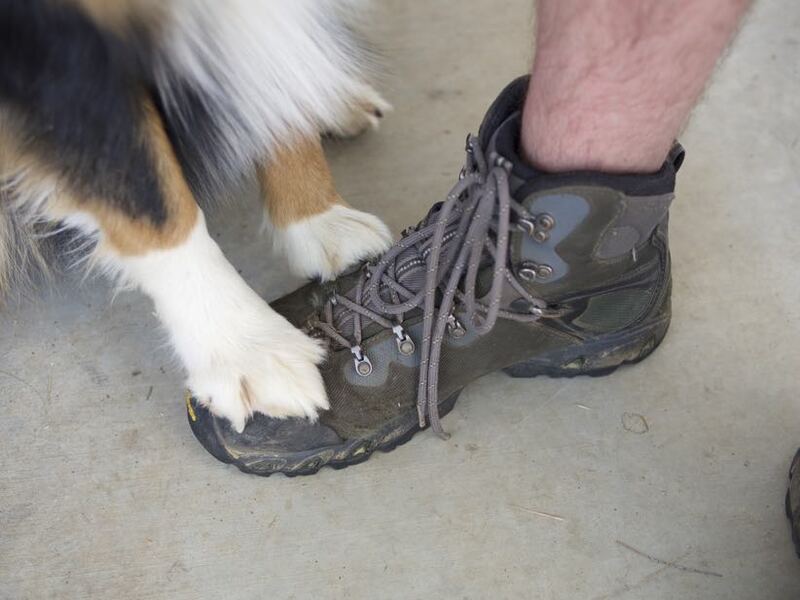 Not only does Hank grow grapes and make wine at his little farm, but he also raises goats and has several adorable dogs. 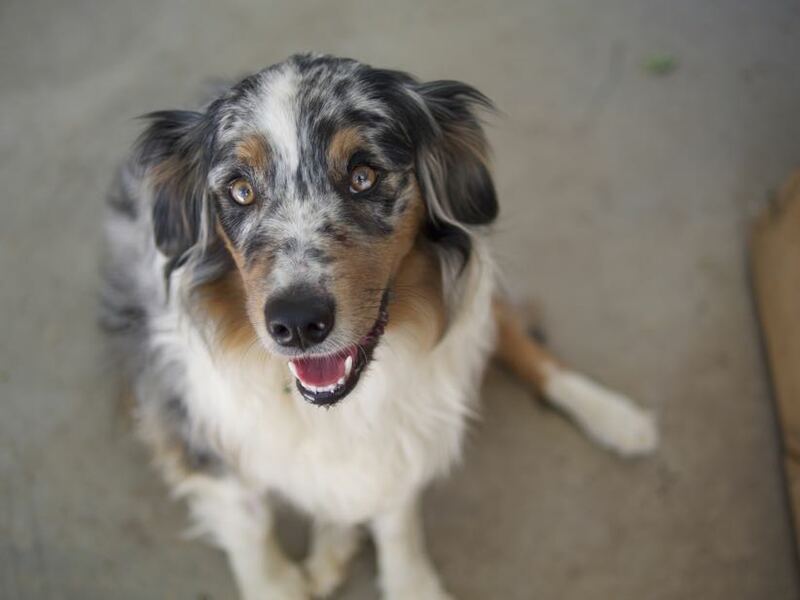 One of them had been bitten by a rattlesnake on her snout the day before, but fortunately survived the ordeal thanks to a vaccine and swift treatment. Her poor little nose was swollen and sore, but she found time to hang out with us during our visit. Since Mr. Beckmeyer’s winery is not typically open to the public, I felt very honored to be able to spend a little time with a person who unknowingly guided me through the early days of my adventure in natural wine. La Clarine Farm’s wines are a favorite amongst my wine club members, and every day I’m so grateful that I can share this experience with others. I have a few of Hank’s wines for sale in my online shop. I deliver throughout the Bay Area and ship all over California. Please see my Delivery Terms for details. I hope that you come to love La Clarine Farm’s wines as much as I have over the years. Cheers! Winelandia’s wine club is constantly evolving as we delve deeper into the inner workings of wine. Lately I’ve been thinking a lot about terroir and it’s influence on a wine’s flavors and aromas, and for the summer club I wanted to bring focus to the soil the wines are grown in. I came up with the idea of creating a collection of wines from volcanic terroirs, as I’ve been inspired by these wines for some time. They are a departure from the style of wines I’ve brought to you in the past, which important for our growth as wine lovers. Wines grown on volcanic terroir are more about soil expression than fruit; they present profound minerality first while succulent fruit plays second fiddle. Above: An erupting Mt. Etna. Yes, people really make wine here! 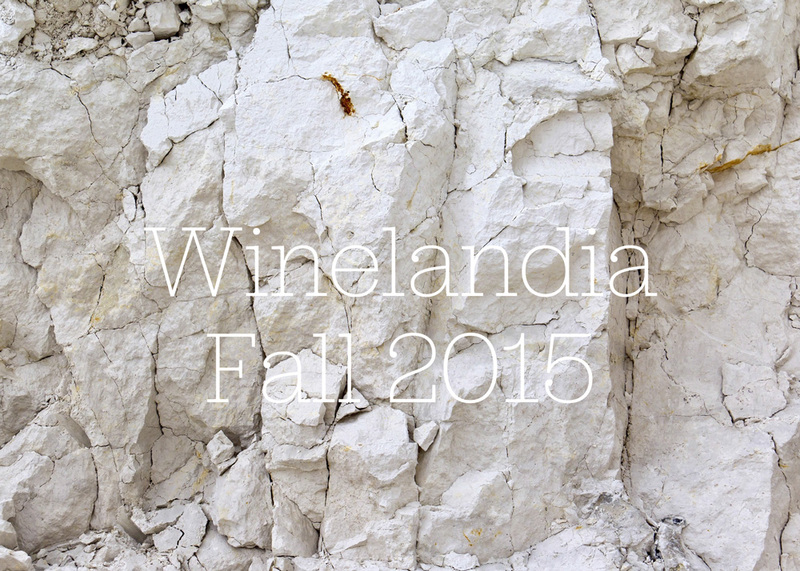 Volcanic terroirs challenge us to see wine through a different lens. While the examples in this collection may be made from different grapes and grown in different parts of the world, they all have something in common. You will find as you drink through them that you learn to identify their commonality – how volcanic terroir presents itself in the flavor and aroma of wine. This collection has been by far the most difficult for me to source, as there are not many places that produce these wines. Volcanic vineyards tend to be on very steep slopes or in inhospitable climates, and because of that there just aren’t that many being made. I have examples for you from as close to home as the Sierra Foothills to as far away as the Canary Islands of Spain. Some of them are grown on active volcanoes like Mt. Etna while others are sourced from ancient and extinct volcanoes in Hungary. 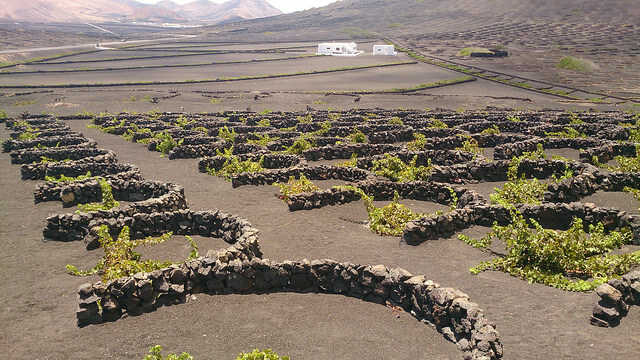 Above: Vineyards on the Canary Islands often look extra-terrestrial. The little stone walls built around each grape vine are designed to protect them from the strong winds. An important thing to note about volcanic wines is that they can be a little shy when you first open them. If the wine seems tight or closed, give it a vigorous decanting. Many of these wines benefit from air and will show their more complex and sultry side if you give them a little time out of the bottle. On to the fun part – the list. As always, full details about the wines will come in printed format with the delivery. The Winelandia Wine Club is a great way to get introduced to an ever-evolving array of fantastic, natural, and affordable wines that you’ll be excited to open any day of the week. Each quarter we feature three different themed collections of six wines for every palate. If you prefer reds or whites, or if you like all sorts of wine, we have the club for you. For more information and our sign-up form, visit our Wine Club Signup Page. An alternating selection of 3 red, 2 white, and 1 rosé or sparkling wines. $150 for all six plus tax & delivery. A collection of light, medium, and full-bodied reds for any occasion. Fresh, terroir-driven whites (with a smattering of rosé and/or sparking wines) that pair with a wide variety of foods. For detailed information on each of the wines, see below. Vineyard: Organically farmed without chemicals – natural or organic. The fruit is sourced from several vineyards located on Mt. Etna – a stratovolcano located on the eastern coast of Sicily, and the tallest volcano on the European continent. Mt. 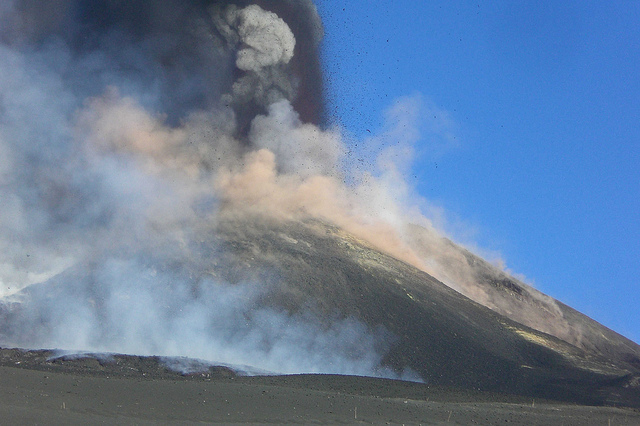 Etna is one of the most active volcanoes in the world, and is in a near-constant state of activity. Tasting Notes: A roller-coaster of a rosé that offers a kaleidoscope of flavors and aromas. Sultry, fruity, floral, herbal, mineral – it’s all in there. On the palate, it’s bursting with fresh berry flavors, chalky minerals, and fine-grained tannins that linger. Serve ice cold and enjoy with food to experience everything this wine has to offer. Production Notes: Red and white grapes are crushed and co-fermented together for up to 45 days of skin contact. Bottled unfined and unfiltered with absolutely no sulfites added at any point in the process. A truly natural wine. Bio: Originally from Belgium, Cornelissen fell in love with the wines of Mt. Etna during his career as a wine salesman. He set out to make wines he described as tasting like “liquid rocks”, and in 2001 he purchased a 3 acre plot of vines on Mt. Etna. Since then, he has become a household name in the natural wine community. Vineyard: 100 year old ungrafted, dry-farmed vines planted in volcanic picon (gravelly ash) soil. La Palma is a volcanic ocean island, rising nearly 4 miles above the floor of the Atlantic ocean. The volcano is dormant, with it’s last recorded activity in 1971. Tasting Notes: Saline, broad, and vibrant, with flavors of wild fennel, stonefruit, and meyer lemon, with ashy minerality on the finish. A very interesting and complex wine. Serve well-chilled and enjoy with food. Production Notes: Fermented with indigenous yeasts in stainless steel with a few days of skin contact. Aged on the lees for 7 months. Bottled with minimal sulfites. Bio: Torres and her father farm the family’s 2 hectares of vineyards in the village of Fuencaliente, where her family has been farming grapes for 5 generations. They bottled their first vintage together in 1999; prior to that they had been making wine mostly for their own consumption and to sell to restaurants. 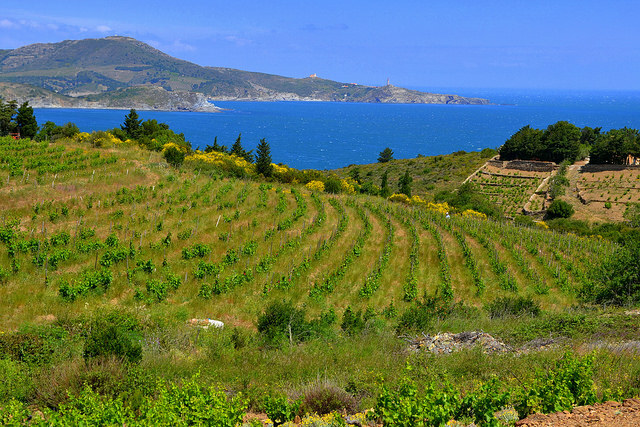 Vineyard: Dry-farmed vines planted in basalt and ancient seabed soil with southern exposure. The region of Somló is an ancient underwater volcano that has long been extinct. Somló has been known for hundreds of years to produce top-quality wines from some of the steepest and most densely planted vineyards in Hungary. Tasting Notes: Smoky and mineral-driven, full-bodied and intense, with loads of texture, acid, and flavor. After a few minutes of decanting, notes of honey, fennel, and saline begin to emerge. This is not a fruity wine – instead, it exudes volcanic terroir. Serve decanted, not too cold, and with food for optimal enjoyment. Production Notes: Hand-harvested fruit is fermented with indigenous yeasts in 1200 liter Hungarian oak casks. Aged without battonage for 2 years before bottling. Bio: Fekete Béla, also known as “The Grand Old Man of Somló”, is a 93 year old winemaker and farmer who made wines on the extinct volcano of Somló in Hungary. He farmed his 4 hectares of vineyards himself until his wife insisted on his retirement. 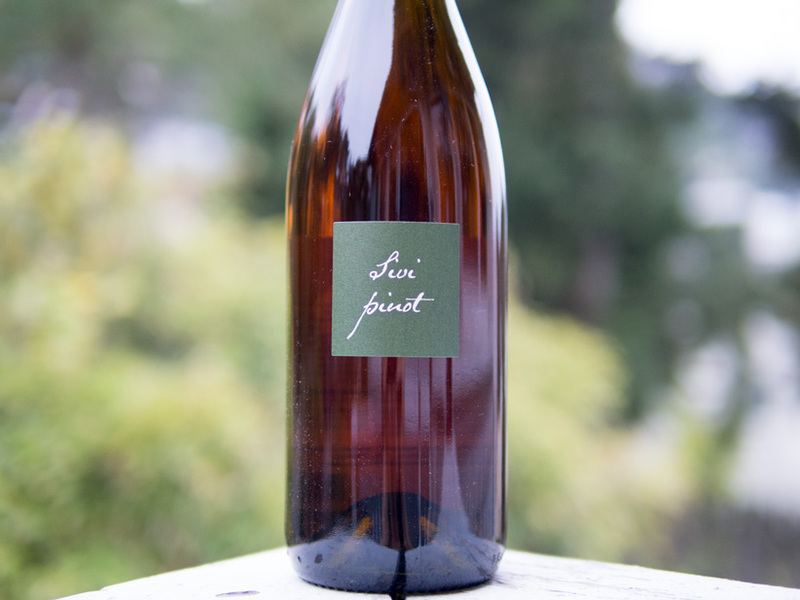 The last bottling being produced by Fekete is the 2013 vintage. Vineyard: Sustainably farmed vines planted in deep volcanic loam near the town of Camino. About 10 million years ago, the Lake Tahoe area was an active volcano, and as a result many of the wine-growing regions in the area feature various types of volcanic soils. Tasting Notes: Fresh and juicy with notes of ripe red tropical fruit, pink flowers, and minerals. Light on it’s feet while still retaining plenty of grippy tannins and structure, it’s best served lightly chilled and enjoyed with food. 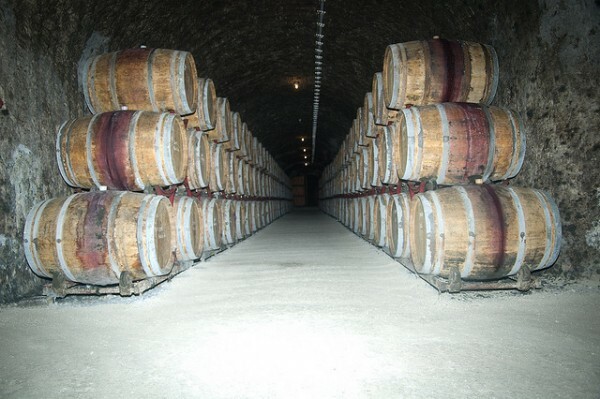 The wine will continue to improve with age, so it can be cellared and enjoyed for the next few years. Production Notes: Hand-harvested grapes are foot-stomped and fermented whole-cluster with ambient yeasts in open-top containers with no added sulfites. 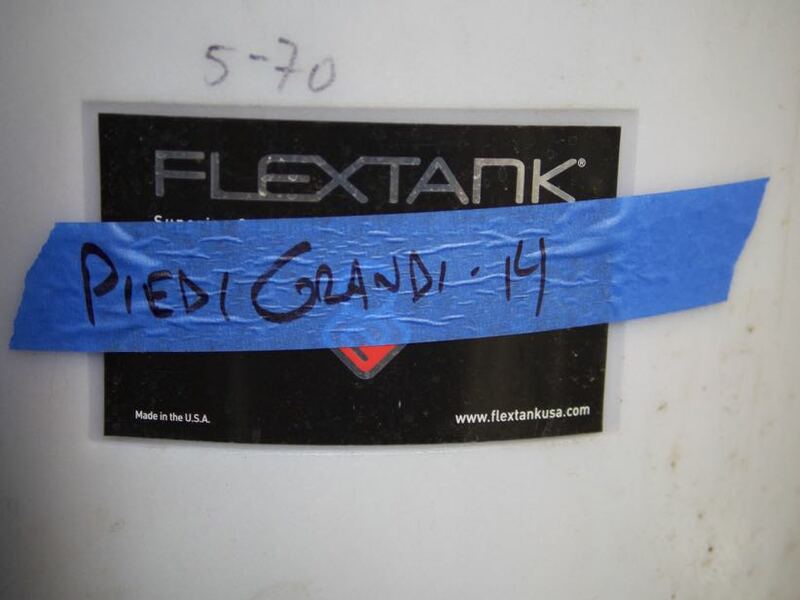 After 5-7 days of maceration, the grapes are pressed and left to finish fermenting in tanks. Bottled unfined and unfiltered with minimal sulfites. 377 cases made. Bio: La Clarine Farm is a principled stand out in California winemaking. A follower of Masanobu Fukuoka’s “Do Nothing Farming” methods, Beckmeyer has created a holistic vineyard and winery experience, trying to leave the grapes alone to, in a sense, make the wine themselves. Beckmeyer has been quietly making wines in the Sierras since 2001. 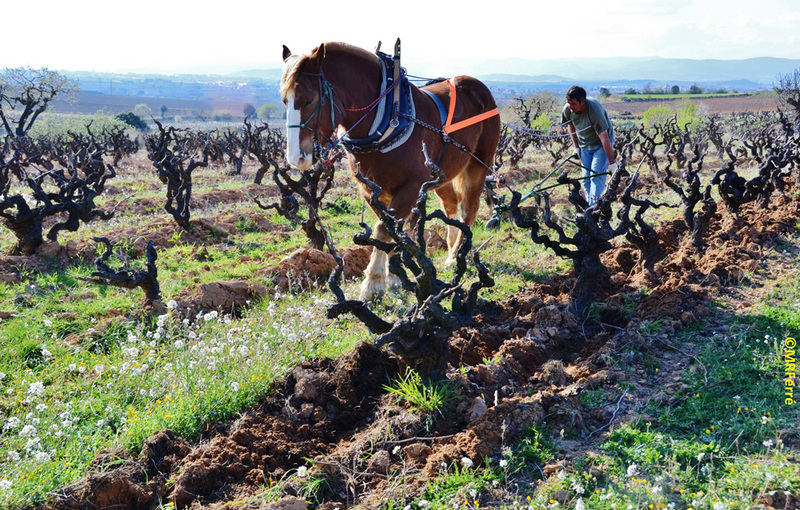 Vineyard: Certified Biodynamic 20 year old vines planted in granitic soils. The island of Corsica was once an volcano during the Triassic period, now ancient and extinct. The island itself was created 60 million years ago while the continent of Africa was colliding with Europe – the same geological event that created the Alps. Tasting Notes: Light, floral, and spicy, with delicate acidity and super-fine tannins. A wonderful summertime red that pairs well with Mediterranean fare. Food Pairing: Wild boar charcuterie, stuffed pasta with ricotta and tomato sauce, roasted trout with garlic and olive oil. 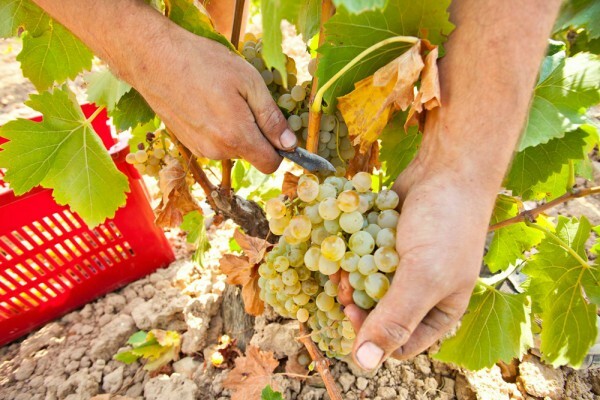 Production Notes: Hand-picked grapes are gently de-stemmed and fermented with indigenous yeasts. Lightly punched-down with a short maceration period, the finished wine is aged in stainless steel and concrete. Bio: A direct descendant of a celebrated Corsican general in the French revolution of the same name, Jean-Charles Abbatucci is a strict follower of Biodynamic farming practices. He has been known to play traditional Corsican songs over loudspeakers on his tractor to his vines and wines aging in the winery. Abbatucci believes it’s all part of the terroir. Vineyard: Organically farmed 75 year old vines planted in flysh soils of volcanic origin. Campania’s soils are volcanic due to the chain of active, dormant, and extinct volcanoes surrounding the area called the Campanian Volcanic Arc. It includes Mt. Vesuvius (which last erupted in 1944) and Campi Flegrei, a huge ancient caldera. Tasting Notes: Notes of ripe cranberry and red currants are framed by firm tannins and fresh acidity. On the palate, more ripe red fruits come through with graphite minerality. Production Notes: Hand-harvested and fermented with indigenous yeasts. Pressed by hand using a torchio (basket press). Aged 1 year in large-format chestnut botti and bottled unfined and unfiltered with no added sulfites. 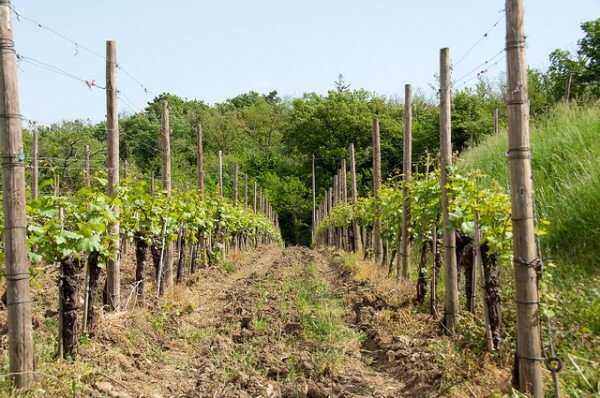 Bio: Cantina Giardino is a joint venture started by six friends with the intent of preserving old plantings of native grape varieties vines throughout Campania. Their winery is located in the village of Irpinia, and only natural processes are used in the production of their wines. Vineyard: Organically farmed 20-40 year old bush trained vines planted in volcanic soil at 2400’ elevation on the Southeastern slope of Mt. Etna – a stratovolcano located on the eastern coast of Sicily, and the tallest volcano on the European continent. Mt. Etna is one of the most active volcanoes in the world, and is in a near-constant state of activity. Tasting Notes: On the initial pour, Kaos is smoky, saline, and intense. After decanting for a little while it opens up it’s softer side, offering notes of delicate white flowers, ripe stone fruit, and persistent minerality. Production Notes: Hand-harvested grapes are crushed and soaked on the skins 6 hours. Fermented with indigenous yeasts and aged 6 months in stainless steel. Bottled unfined and unfiltered with minimal sulfites. Bio: Originally from the hills outside of Catania, Bentivegna spent half of his life abroad. He first explored agricultural passion while working for Siemens, and eventually settled on Mt. Etna in 2010 when he began to make wine. He is part of a 4-member team who strives to make the most natural and terroir-driven wines possible. Vineyard: Organic and practicing Biodynamic. 30 year old vines planted in volcanic basalt alluvial soil. Veneto gained its volcanic soils during several geological events ranging between the Paleocene and Oligocene periods, 30-60 million years ago. The lavas erupted from the southernmost border of the Trento Platform, which now makes up the Veneto volcanic province. Tasting Notes: Fresh & fizzy, with notes of yellow fruit and yeasty brioche framed by delicate acidity and smoky minerality. This wine is un-disgorged, which means there’s some sediment in the bottle. This is natural, adding texture and richness to the wine. Production Notes: Hand-harvested and fermented with indigenous yeasts in stainless steel vats. Bottled with a little unfermented juice from Albina grapes, kicking off another fermentation in the bottle, and adding a natural effervescence to the wine. Un-disgorged with no added sulfites. Bio: Menti Giovanni was started in the 19th century in the village of Gambellara by Menti’s grandfather. Along with his son Stefano, Menti farms the family’s 7.5 hectares of garganega and durella vines utilizing only organic and biodynamic farming practices. Vineyard: Biodynamically farmed old vines planted in ancient granitic soil. The island of Corsica was once an volcano, many millions of years ago during the Triassic period, now ancient and extinct. The island itself was created 60 million years ago while the continent of Africa was colliding with Europe – the same geological event that created the Alps. 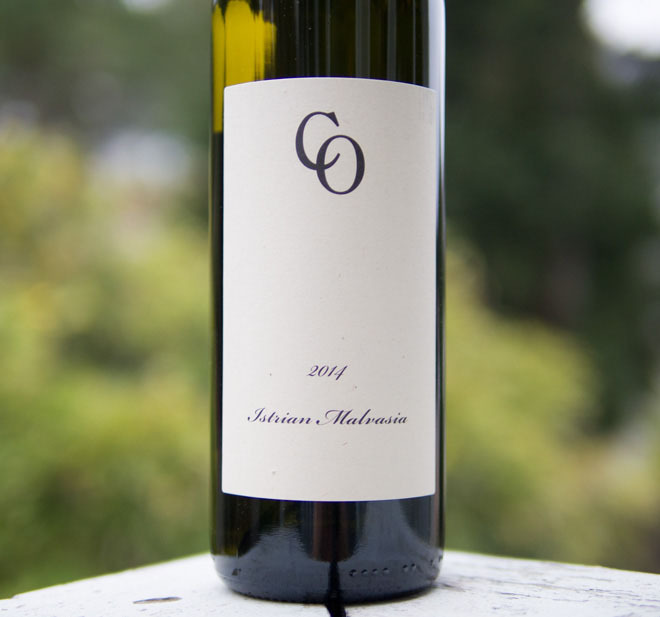 Tasting Notes: Fresh and delicate, with notes of Corsican wildflowers, ripe citrus, and saline minerals. Silky and creamy with a long mineral finish. Production Notes: Hand-harvested fruit is quickly cold-soaked and slowly fermented with indigenous yeasts in stainless steel. Bottled with minimal additions. 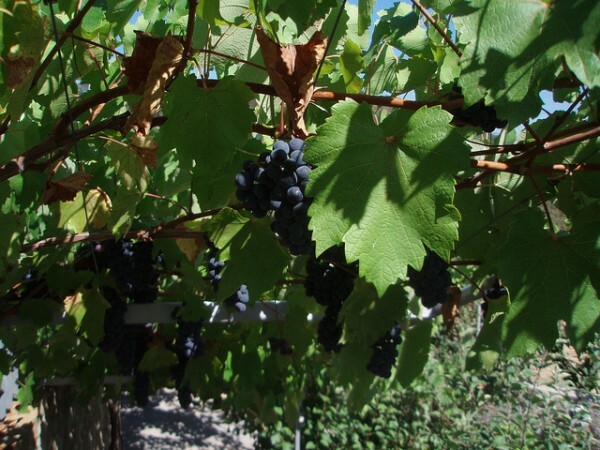 Vineyard: Organically farmed grapes from several different vineyards grown in gravelly ash soil. La Palma is a volcanic ocean island, rising nearly 4 miles above the floor of the Atlantic ocean. The volcano is dormant, with it’s last recorded activity in 1971. Tasting Notes: Medium-bodied and juicy with fine-grained tannins. Aromas of cedar, dried herbs, and smoke are complemented by flavors of pomegranate, spice, and saline minerals. 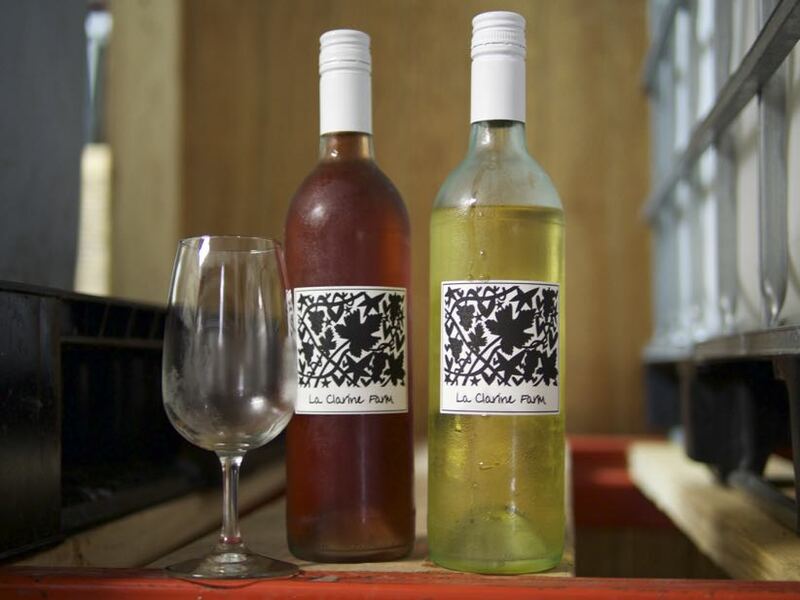 Production Notes: Hand-harvested grapes are fermented whole-cluster with indigenous yeasts for 6 days. Aged for 5 months in large-format American oak barrels. Vineyard: Organically farmed 70-80 year old vines planted at 2100’ elevation in soil composed of basalt, rich in silica and minerals. All fruit sourced from a single vineyard called Moganazzi on the slopes of Sicily’s volcano. Mt. Etna is an active stratovolcano located on the eastern side of Sicily, and is the tallest volcano on the European continent. Tasting Notes: Medium-bodied, structured, and intense, with notes of rhubarb, volcanic earth, dried herbs, and smoky minerals. Production Notes: Hand-harvested fruit fermented with indigenous yeasts. Bottled with minimal sulfites and additions. Bio: Originally produced by Don Michele, the last vintage of Don Michele Etna Rosso was made by Marco de Grazia and his team at Terre Nere. After Don Michele’s death, the famous Moganazzi cru from which the wine was made was sold to Terre Nere and now goes into their own wines. Vineyard: Organically farmed 60-200 year old vines trained in the Pergola system, planted in volcanic ash and sand with basalt subsoil. Agnanum’s vineyards are located the crater of Agnano, which is part of the Campanian Volcanic Arc. Tasting Notes: Medium bodied, perfumed, precise, and pure, with aromas of smoke and bramble. On the palate, flavors of crunchy red and black fruits come through, with ripe tannins and a long finish. Production Notes: Hand-harvested and fermented with native yeasts. Minimal sulfites are added during production. Aged in stainless steel and bottled without sulfites. 900 bottles produced. Bio: Built by Raffaele’s father in 1960, Agnanum’s focus in on minimal-intervention wines made by hand from low-yielding vines in Campi Flegrei. They grow mostly Falanghina and Piedirosso, seeking to craft high-quality, food-friendly wines that showcase the volcanic terroir.